Candidates for Pitkin County Assessor Mick Ireland and Deb Bamesberger, left, speak at Squirm Night held at GrassRoots on Thursday. 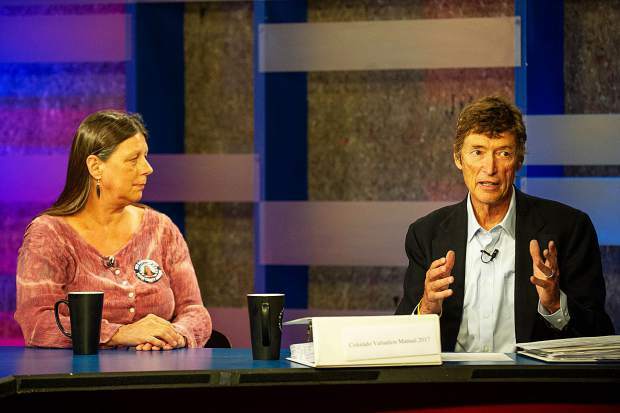 Pitkin County assessor candidate Deb Bamesberger explained during a political debate Thursday the events that led to her not paying her property taxes on time and being on the hook for $100,000 in federal liens. During a “Squirm Night” forum held by local media at Grassroots TV, Bamesberger, who is running against Mick Ireland, said as a successful real estate broker she was paying tens of thousands of dollars a year in taxes. But when she and her husband were audited in 2008, the IRS found that he had not claimed earned revenue that was discovered in their joint checking account. The recession hit, real estate sales tanked and taxes were owed but the income wasn’t coming in, Bamesberger said, adding she made small payments but couldn’t keep up. She and Ireland are vying for the elected position of assessor, whose office is in charge of valuing billions of dollars of real estate in Pitkin County. 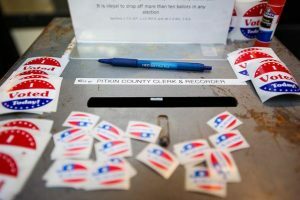 The two candidates were grilled by editors of The Aspen Times and the Aspen Daily News for about a half hour Thursday. 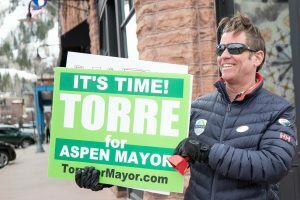 Ireland, a former Aspen mayor and Pitkin County commissioner who is currently a part-time tax attorney and political consultant, was questioned about how he would handle a full-time job. “Being an elected official is more than a full-time job,” Ireland responded with a smile. When asked if he will stop moonlighting as a political consultant and tax attorney if he is elected as assessor, Ireland said he does not plan to. But he said he would recuse himself if any issues with tax valuations come up with previous or current clients. He said he would consult with the county attorney on the appropriateness of his side work and his role as assessor. As a longtime local politician, Ireland has drawn many detractors who haven’t agreed with his policies or appreciated his perceived combative approach with his constituents over the years. Ireland was asked about how he plans to get over the “Never Mick” syndrome. Ireland said the assessor’s job is not political. He can’t assess valuation on a person’s property based on politics and the electorate shouldn’t base its decision on policies he made in the past, either. Valuations are based on government guidelines and they can be appealed by property owners through a hearing officer, the board of equalization, district court or arbitration. “There are a lot of checks for abusing the system one way or the other,” he said. Bamesberger, who is a personal property analyst in the Assessor’s Office, said her experience working there for the past six years, as well as her time at Pitkin County Land Title and as a real estate agent for almost three decades, makes her the most qualified candidate for the position. She said she also enjoys working with numbers and being part of a team that balances a tax roll in excess of $33 billion. “It’s my passion working with the taxpayers in Pitkin County,” Bamesberger said. Ireland said he discovered a knack and understanding for math and taxes when he had to pay them at his first job as a 7-year-old in his family’s restaurant in Chicago. “I like working with people but I like working with numbers, as well,” he said. Bamesberger was questioned why she doesn’t have anything listed under the “On the Issues” tab on her website. 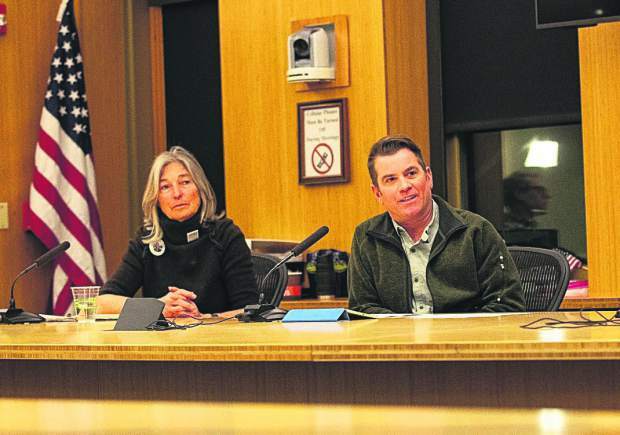 “I don’t have any issues (with) the Assessor’s Office,” she responded. Both candidates agreed new software is needed to make the office, property tax records and all related data more accessible to the public. 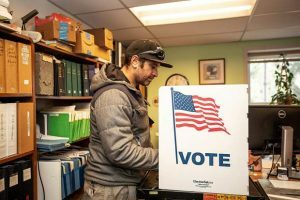 They also both agreed there are potential pitfalls with the Gallagher Amendment, which could have negative effects on special taxing districts in this fall’s election. If Amendment 73, a state ballot measure that aims to establish a tax bracket system instead of a flat tax rate passes, Bamesberger said it would be a “total mess” because it would require two different tax districts. Ireland said Gallagher is a mixed blessing in that it provides fairness in some regards but fails in other areas, like in rural school districts that don’t have commercial properties that can be assessed, so therefore they get less state money for education. Ireland said he is running because he wants to carry on the legacy of Assessor Tom Issac, who has been in the position for nearly 30 years. But Ireland said it’s time for a change, and looks forward to creating a transparent and efficient Assessor’s Office. The assessor is paid $99,701 a year. 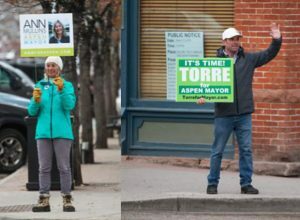 2019 Aspen election analysis: Incumbents’ loss a message for change?